I've been working on this game since the end of last year, leading up to the final major update today (12/31/17). I'm constantly posting these obsessive perfecting changes though. 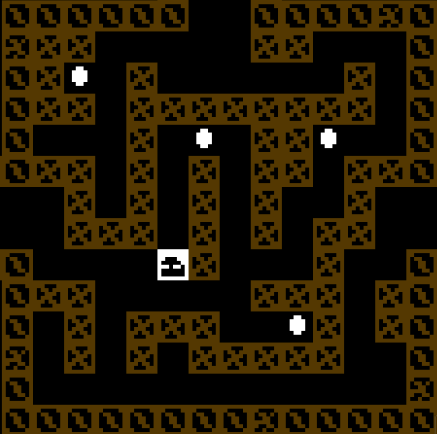 A fun game, but the sprites are too abstract to make out what everything is. 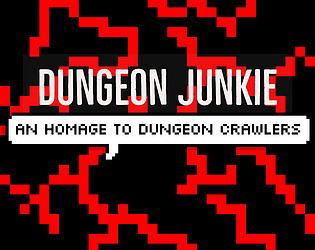 Keep working on it - this could become a very good Roguelike! This game is pretty cool. However, the movement is honestly not that great. There is a huge delay from when I press an arrow key and when I start moving, and it's a bit slow. I ended up just spamming the arrow keys, because that was much faster. 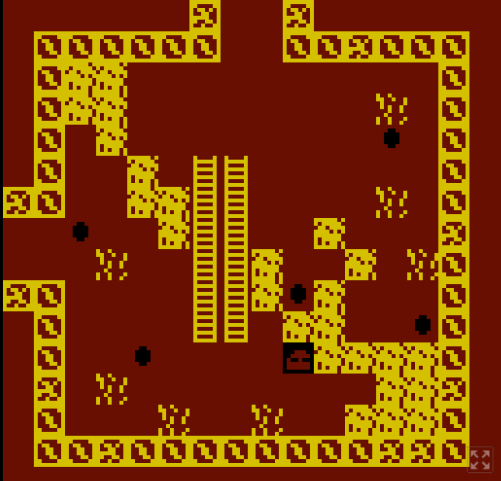 Also, accidentally hitting a trapdoor right away in teh second level just felt punishing. Good game though. Keep up the good work. Thank you all for your feedback! I'm happy to say this is just a jumping-off point for this idea. I'm currently building a "sequel" of sorts using a new engine with more functions and little details. I'm glad you guys enjoyed it, and I hope to impress you with the new version (^-^) I'll be posting updates in the devlog for this project so stay tuned! I liked the art style, but gameplay became a bit repetitive after a while. Enemies were easily avoided, and when I tried to explore the things in the world that weren't coins - I was punished with a game over I was unable to prevent. Zelda feeling was nice though. I love the retro design of this game. Good job! I feel like the movement could have been a bit nicer, repeatedly pressing arrow keys is a bit annoying ;) Also I think adding a coin sound when collecting coins will make this game more satisfying haha. 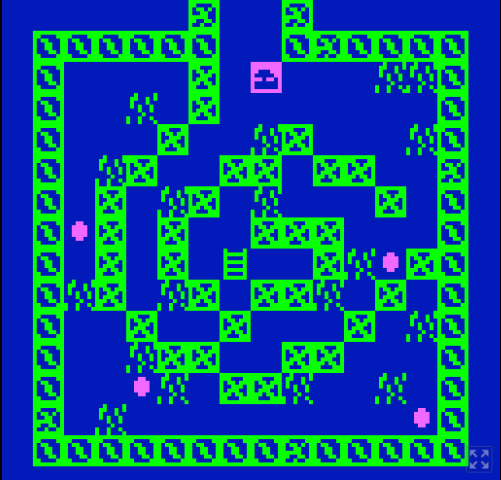 I like the maze-like structure of the levels! Thanks, can't wait for the update! Boring, yet... Err... Yeah boring. 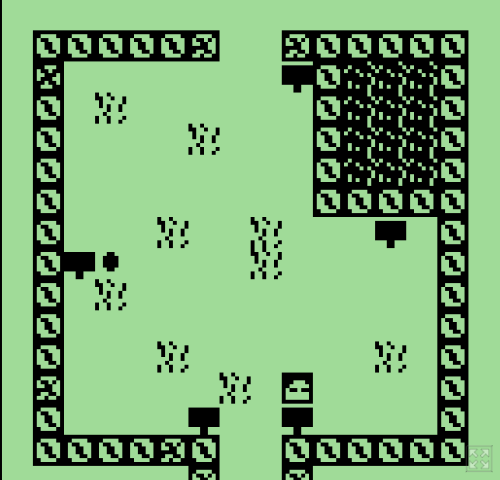 The highlight of the game was finding out that all items are highlighted with 4 grass tiles around them, anything else is a trapdoor. Wish I knew that before picking up what I though was "bonus chest". After the second level, I refused to bother with coins. They were only a distraction. The maps were larger than I thought. Props to that. More enemies might may have made the game more enjoyable. The final boss was... a... Akward. ha-ha. this game was adorable! I like it!